A Real IRA leader has been convicted of playing a leading role in plotting a bomb attack during the state visit of Prince Charles to Ireland in May 2015. Seamus McGrane, 63, from Little Road, Dromiskin in County Louth, was found guilty of directing the activities of a terrorist organisation. He was also convicted of IRA membership at Dublin’s Special Criminal Court. He was secretly recorded discussing explosives and a target of “military significance” in a Dublin pub. McGrane had met dissident republican Donal Ó Coisdealbha a number of times in the Coachman’s Inn early in 2015 to plan a bomb attack during the state visit of Prince Charles, according to Irish broadcaster, RTÉ. However, gardaí (Irish police) installed listening devices in the building and McGrane was recorded discussing strategy and experiments with explosives, along with his involvement in training paramilitaries. 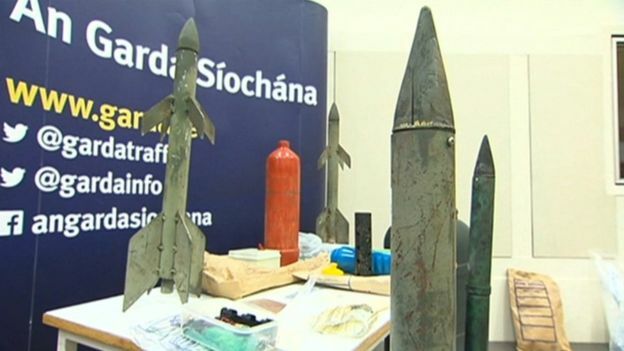 The court heard he instructed Ó Coisdealbha to “reactivate the science graduate” to get advice on explosives. A couple who met on a dating website have gone on trial accused of plotting a terror attack using a homemade bomb. Munir Mohammed, 36, of Leopold Street, Derby, allegedly volunteered for a “new job in the UK”, via Facebook with a man he believed was an IS commander. The Old Bailey heard he met pharmacist Rowaida El-Hassan, 33, of Willesden Lane, north-west London, online and she provided chemical expertise. Both deny the charge of preparing terrorist acts. Mr Mohammed and Ms El-Hassan are accused of preparing terrorist acts between November 2015 and December 2016. After meeting on dating site singlemuslim.com, the pair “rapidly formed emotional attachment and a shared ideology”, the prosecution said. 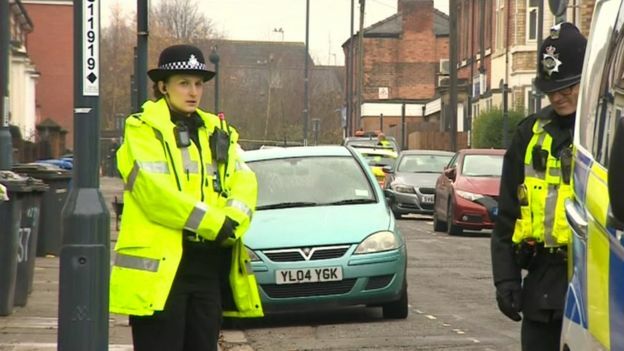 Two 14-year-old boys have been arrested on suspicion of preparing an act of terrorism. The teenagers were arrested in the North Yorkshire market town of Northallerton on Saturday. A number of properties have been searched in the Romanby area and items seized are being examined by police. Police said they understood people may be concerned by the activity and were “grateful for the patience and understanding of the public”. Searches were carried out at three residential properties, which have now concluded. According to The Northern Echo, a large number of police vehicles were seen over the weekend on Grange Close and Boroughbridge Road in Romanby, near a derelict former tyre garage. Numerous police cars were also seen on the A167 Boroughbridge Road. 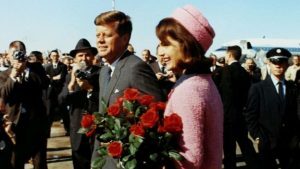 The US government has released 2,800 previously classified files on the assassination of President John F Kennedy in 1963. President Donald Trump said the public deserved to be “fully informed” about the event, which has been the subject of numerous conspiracy theories. But some documents have been withheld at the request of government agencies. One memo revealed that the FBI had warned police of a death threat against the assassin Lee Harvey Oswald. “We at once notified the chief of police and he assured us Oswald would be given sufficient protection”, writes the FBI director J Edgar Hoover. As the documents are pored over and analysed, other findings include a CIA memo that suggests Oswald spoke with a KGB officer at the Russian embassy in Mexico City. The memo says the KGB officer Oswald spoke with worked for a department “responsible for sabotage and assassination”. Another memo showed that Soviet officials feared an “irresponsible general” would launch a missile at the USSR in the wake of President Kennedy’s death. One memo tells how a British regional newspaper, the Cambridge News, received an anonymous call about “some big news” in the US, hours before the assassination. A copy of the memo was released by the National Archives in the US in July, but had gone unreported. The Warren Commission’s report into the shooting, published in September 1964, said that Lee Harvey Oswald had fired the fatal shots from the Texas School Book Depository building. There was “no evidence that either Lee Harvey Oswald or Jack Ruby was part of any conspiracy, domestic or foreign”, the commission said. A 1992 law passed by Congress required all records related to the assassination – around five million pages – to be publicly disclosed in full within 25 years. The deadline was Thursday. More than 90% of the files were already in the public domain. In a memo directing heads of executive departments to release the files, Mr Trump said the American public deserves to be “fully informed about all aspects of this pivotal event”. “Therefore, I am ordering today that the veil finally be lifted,” the president wrote. The president, according to White House officials, was reluctant to agree to agency requests to hold the remaining documents. “I have no choice – today – but to accept those redactions rather than allow potentially irreversible harm to our Nation’s security,” Mr Trump added in his memo. A Pakistani man wanted by Interpol in connection with alleged contract murders has been arrested in Hungary. Authorities in Pakistan had issued an international warrant for his arrest in connection with 70 deaths there, listing him as the country’s most-wanted person. Police said he was caught in a group of migrants being smuggled to Austria. The alleged professional gunman, aged 35, is said to be known as the “Pakistani Butcher”. He has only been identified with the initials A.Z. 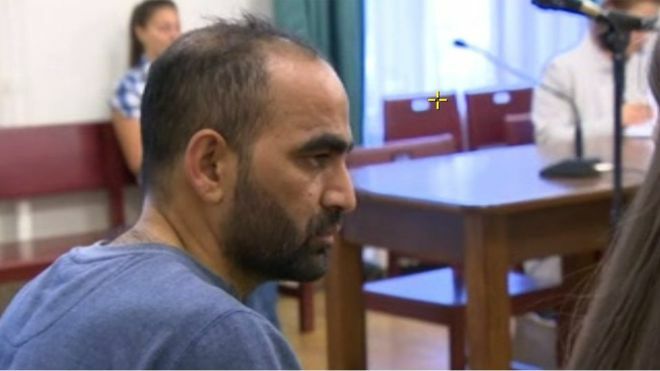 The group he was travelling in was caught in Boly, 175 kilometres (110 miles), south of Budapest, the Austrian Federal Criminal Bureau said in a statement to AFP. Boly is near Hungary’s borders with Croatia and Serbia. His extradition to Pakistan will be decided in the coming days. “This case shows once again the importance of international networking in combating crime,” said Austrian Interior Minister Wolfgang Sobotka in a statement.